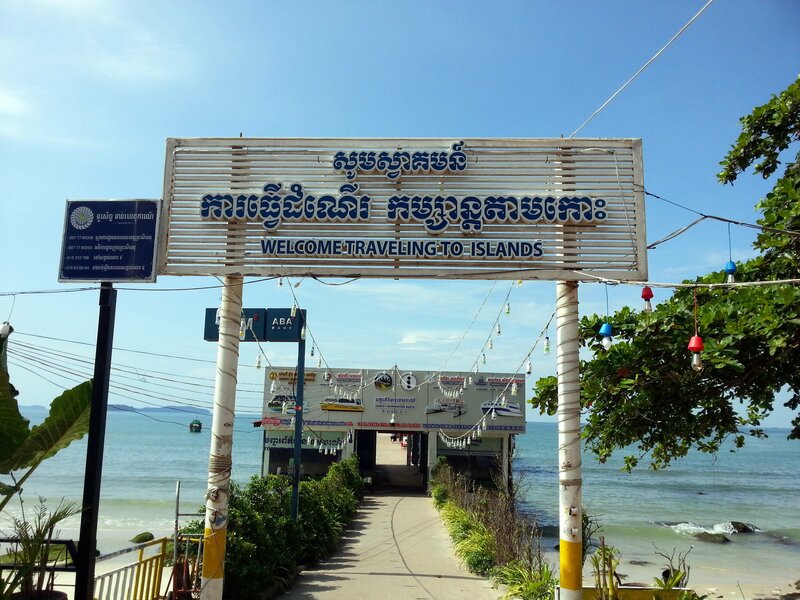 Ochheuteal Pier, also sometimes known as Serendipity Pier, is located in Sihanoukville in Cambodia. 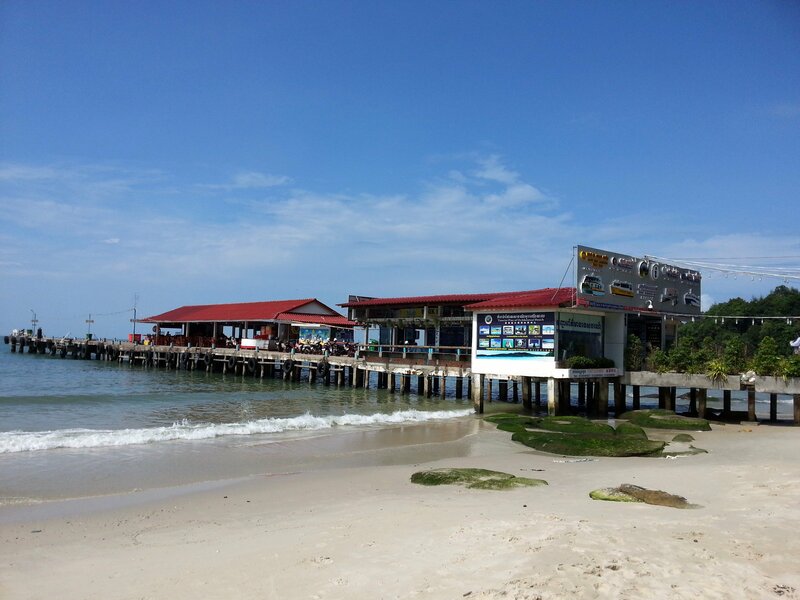 Ochheuteal Pier is the place to go to get a ferry to Koh Rong and Koh Rong Sanloem. Sihanoukville’s other ferry pier, Sihanoukville Autonomous Port, is normally only used for loading and unloading cargo ships. Ochheuteal Pier is at the north end of Ochheuteal Beach which is the busiest beach in Sihanoukville. You can travel all the way to Ochheuteal Pier by road. It is located 600 metres by road to the south west of the Golden Lions Roundabout. There are few facilities at the pier itself, other than a small waiting area. 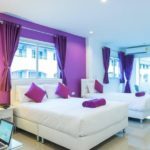 If you want to eat something or use a toilet before you board your ferry or speedboat to Koh Rong then visit one of the many restaurants located on Serendipity Beach Road (Road #502) which is the approach road to both the pier and the beach. The fast ferries and speedboats take 45 to 60 minutes to reach Koh Rong and the slower boats take up to 2 hour 30 minutes so you might consider avoiding drinking or eating excessively before you set off anyway. There are 23 fast ferries a day from Sihanoukville to Koh Rong departing from Ochheuteal Pier. There are other slower boat services which we have not listed in the timetable below because the departures times are unreliable, as our the ferry services themselves. ISBC: Island Speed Boat Cambodia. Use the Search Form below to buy your ferry tickets from Ochheuteal Pier to Koh Rong. At the present time only a limited number of ferry services are available to book online. 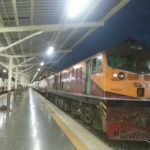 Ochheuteal Pier is located 6.0 km by road from Sihanoukville Railway Station.